One of the most influential guitarists to come out of the Seattle rock scene, Jerry Cantrell's epic riffs and searing tone have been the driving force behind Alice in Chains since the late 80's. One of the most influential guitarists to come out of the Seattle rock scene, Jerry Cantrell's epic riffs and searing tone have been the driving force behind Alice in Chains since the late 80's. His melancholy wah-drenched melodies in modern classics like "Man in the Box" and "The Rooster" left an indelible mark on a generation of guitarists. 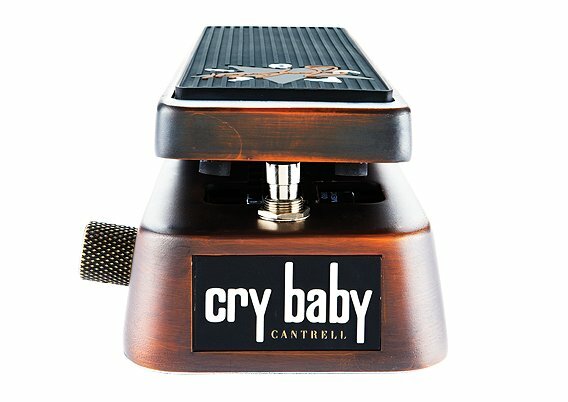 Jerry favored wah-wahs with a wider, darker response, and Dunlop has painstakingly replicated that moody sound to create his signature pedal. It's custom-voiced for a tight, punchy heel-down tone and a rugged side-control knob lets you fine tune the toe-down frequency. 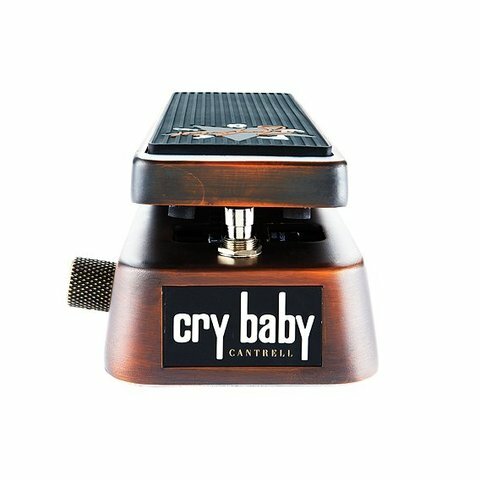 And with its antique, oxidized "road worn" brass casting and custom Alice in Chains tread, this is one pedal that looks as great as it sounds.